Heat gas or charcoal grill for indirect cooking over medium heat. Slit hot dogs to within 1/2 inch of ends. Insert 3 strips of cheese into each slit. Separate dough into 8 triangles. Wrap 1 dough triangle around each hot dog. 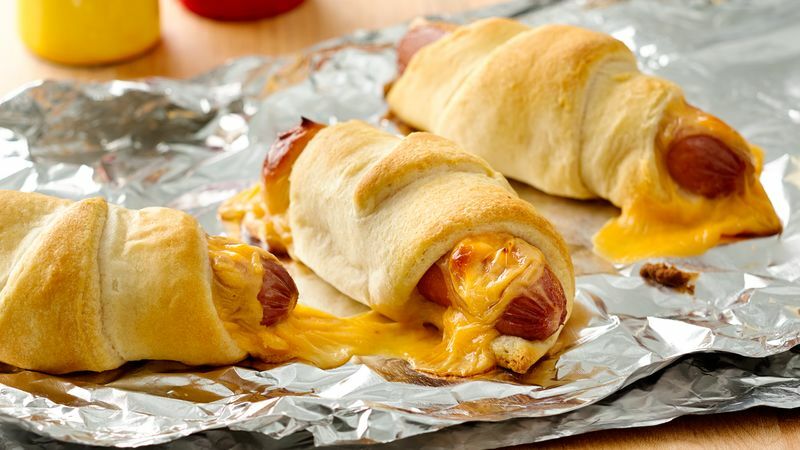 Place crescent dogs on double thickness of heavy-duty foil sprayed with cooking spray, about 2 inches apart. Place foil on grill over indirect heat; cover. Cook 12 to 15 minutes or until golden brown.